RAILKO RG15 - High Strength & Excellent Dimensional Stability. RAILKO RG15 is a reinforced composite material exhibiting a high strength and excellent dimensional stability. 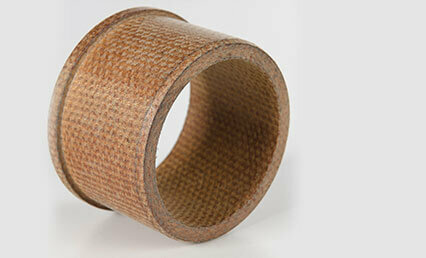 The material is a non-metallic, high performance aramid fiber phenolic composite. RG15 has been specified for the guide bush for friction dampers used on Y type freight bogies. These bushes have been tested and approved by SNCF. RAILKO RG15 is available as tubes and fully machines bearings/bushings.